This week we're jumping into another installment of the Real Wellpreneur series. 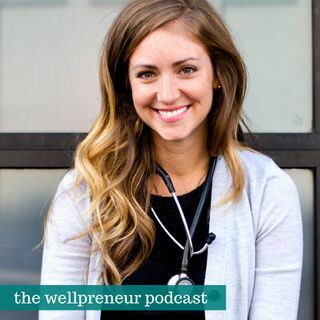 My guest today is Dr. Alexis Shields, a naturopathic physician who's also a digital nomad, running her business completely virtually and living in different locations around the world. And just like we talked about in the first episode of the season (Freedom and Flexibility), being a real wellpreneur and taking your business online doesn't necessarily have to be changing location: it can be working 3 ... Más informaciones days a week or taking the summers off, or whatever freedom means to YOU and shaping your business to fit that. And that's exactly what Alexis had done, and from her story you'll see how she's been able to make a thriving business. I know you'll especially enjoy this episode if you are a doctor looking for ways to grow your business and because taking your business online is not always an option, you'll hear from a fellow wellpreneur how you can work within these restrictions. Plus Alexis mentions tons of useful tools you can use in your biz and you'll find them all in the show notes.